Relocating your business can be an exciting time, especially if you’re moving to bigger or better premises. But, it can also be stressful. There’s a lot to organize and a lot of heavy expensive equipment to be transported. Amidst the chaos of a move, business owners and office managers try to minimize costly disruptions in service. Smaller businesses and mom and pop shops sometimes think it will be too costly to hire a professional moving company. They may assume that their furniture and equipment will only occupy half a truck but still end up paying for a whole one. Larger offices know they can't handle a "do it yourself" move, but struggle to find an affordable moving company that will expedite their move and allow them to get back business quickly. Whatever size your office move is, Affordable Moving & Storage is here to help. Commercial moving is very different from residential moving, and we have the experience and resources to ensure your move goes smoothly. We specialize in all types of business moves ranging in scope, from corporate relocations to one-room offices. We’re also experts at packing common areas like filing rooms, conference areas and storage closets. Affordable Moving & Storage has lower minimums than other commercial moving companies and completes many small office moves in a day, which is why our rates are so reasonable. Don’t risk injuring your employees or breaking your equipment by handling heavy items on your own. Affordable Moving & Storage offers end to end service, from protective wrapping of flat screen monitors to reassembling modular furniture, all done by our properly trained staff. Your business means a lot to us. We understand you can’t afford any down time – but you can afford us and we’ll ensure you're up and running as quickly as possible. 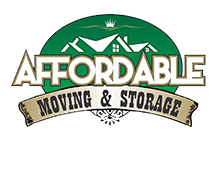 Affordable Moving & Storage is based in New Jersey and offers one-on-one direct service to destinations within a 500 mile radius. Our area of expertise includes the East Coast, covering all destinations between Maine and the Carolinas, as well as Boston, Washington and all points in between. Our same or next day service ensures that your possessions arrive at your new office quickly and intact, helping to make your transition seamless. 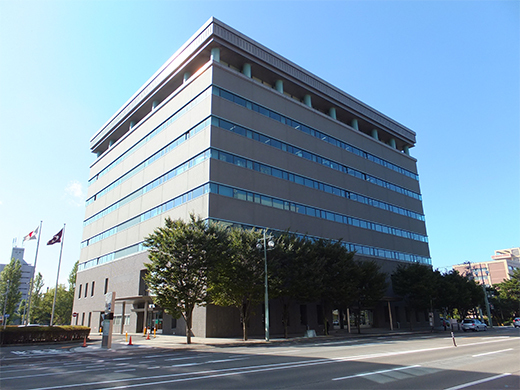 We’ve completed moves at most of the local office buildings and are familiar with their policies and procedures including providing a certificate of insurance prior to moving day. You’ll also save on the extra gasoline and mileage charges levied by out of state or national van lines. Since we’re located in your neighborhood, it’s easy to pick up packing materials, ask for advice, or submit a claim. We have a reputation to uphold in the community, we rely on word of mouth and referrals from our many satisfied business owners. As a small business ourselves, we understand the unique requirements of our customers when undertaking office moves. We offer after-hours, evening or weekend service – sometimes at a cheaper rate than daytime - to minimize the impact of moving on your business. We’re able to provide a dedicated truck and crew to move vital data center/server room equipment safely and efficiently. We send an estimator to your office to assess your needs and compile a comprehensive, no surprises quote. We assign a project manager on larger moves to work with you and your staff throughout the moving process. We provide the proper masonite, corrugated wrap and door jamb protectors that many buildings require. We assist you with all aspects of the move including packing, labeling and storage. This ensures it’s completed quickly and smoothly without tying up anyone's time. We know it’s critical to have access to your furniture, files and office equipment straight after the move. We use the most up to date equipment and trucks to ensure there are no delays. If you have surplus equipment or filing cabinets containing historical documentation, Affordable Moving & Storage can transport them to a recommended clean local self-storage facility for you. In case you find that you need them afterwards, we’ll retrieve them for you at an affordable rate so you don’t have to tie up your delivery crew or van. We're your local moving experts; almost no load is too small for us.